Dr. Piccorelli specializes in vascular surgery. He graduated from Fordham University with a bachelor’s degree in biology, and received his medical degree from New York Medical College. He did his surgical residency at Metropolitan Hospital and the Westchester County Medical Center, affiliated with the New York Medical College Program. Dr. Piccorelli completed fellowships in peripheral vascular surgery and in surgical intensive care in the New York Medical College Program. 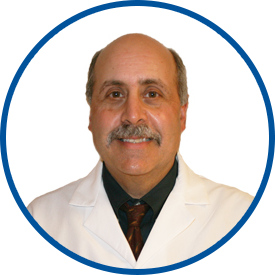 Dr. Piccorelli is board certified by the American Board of Surgery. He has been in private practice since 1988. Hospital affiliations for Dr. Piccorelli include White Plains Hospital, Greenwich Hospital and Lawrence Hospital.